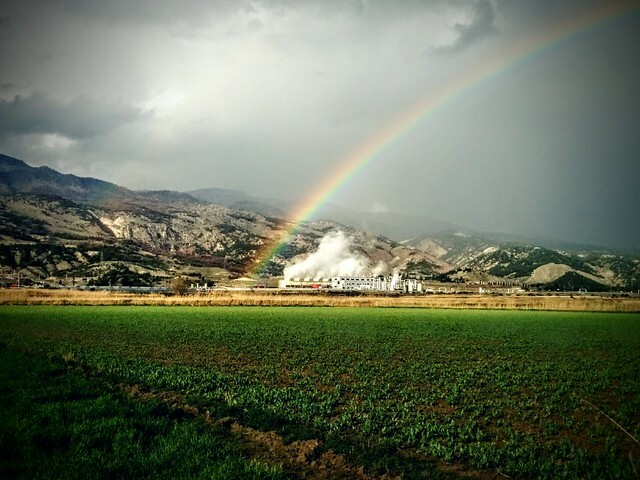 Somewhere Over The Rainbow: Kizildere Power Plant. By Erdinҫ Sentϋrk. GRC Photo Contest. Zorlu Dogal Elektrik, a subsidiary of Turkey’s Zorlu Enerji, has commissioned the 65.5 MW second unit of its US$320 million Kizildere III plant on the border between the southwestern provinces of Aydin and Denizli. With the second unit now generating the plant currently has an installed capacity of 165 MW – making it the largest in Turkey. The company also holds a so-called “pre-licence” for the 50 MW Alasehir III geothermal plant, for which it held a public consultation meeting last month, in line with the requirements of the environmental impact assessment submitted for the plant. The project is currently under consideration by Turkey’s Ministry for Environment and Urban Affairs.